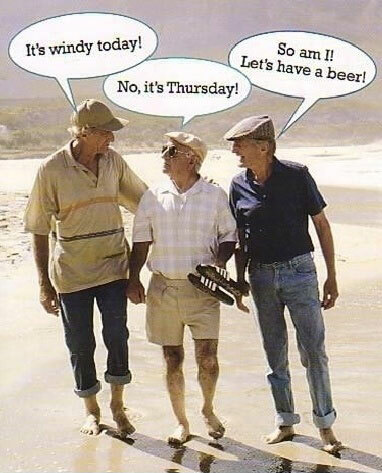 Funny Confused Old Men Conversation Picture - It's windy today! No, it's Thursday. So am I! Let's have a beer!